35mm, 36 exposures. Pack of 5. Fuji Superia XTRA 400 is a high speed colour negative (print) film featuring Fuji's "4th colour layer", enabling the film to handle a very wide range of colour temperatures with ease. 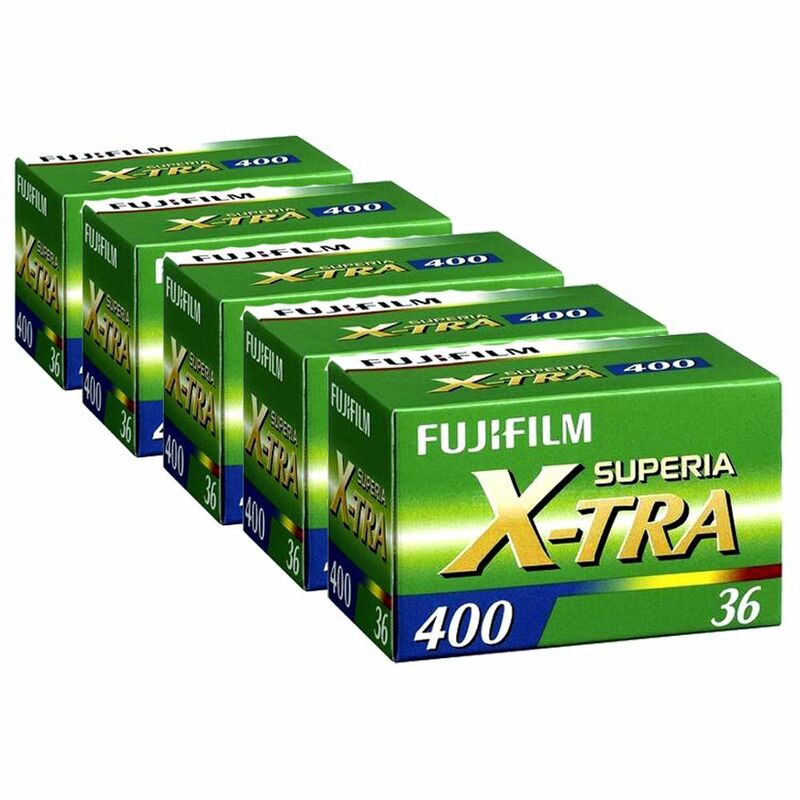 Superia XTRA 400 has very fine grain and is ideal for general purpose photography where the finite characteristics of the Pro films is not required. This competitively priced range of film is robust and as such is also ideal for travel photography. Expect the typically forgiving exposure latitude associated with modern colour negative film.